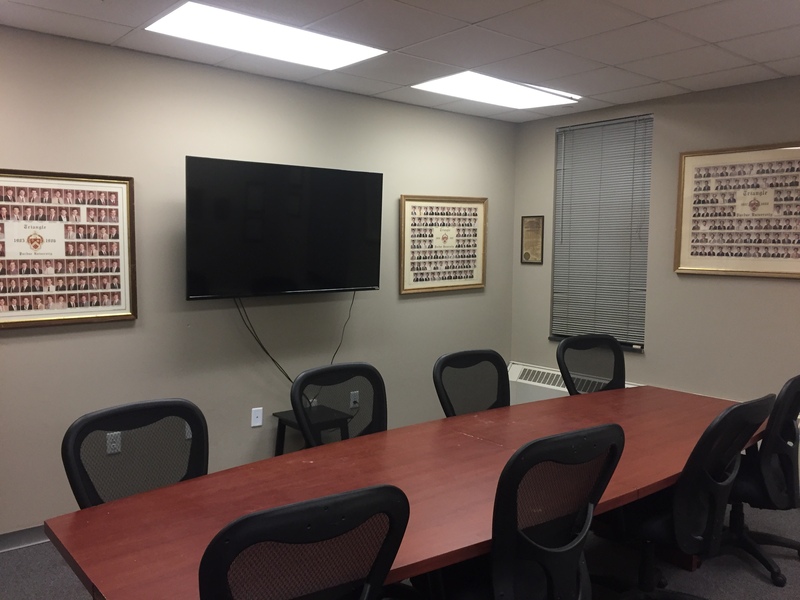 The conference room renovation is now complete with a new 65″ flatscreen TV installed on the wall! Thanks to Gregory Haegele, Kyle George, and Tyler Preston for working on the project, and special thanks to the Triangle Education Foundation for the grant to purchase the TV. This update brings Triangle into the 21st century, replacing an old whiteboard with something that can be used for group projects, conference calls, and more!